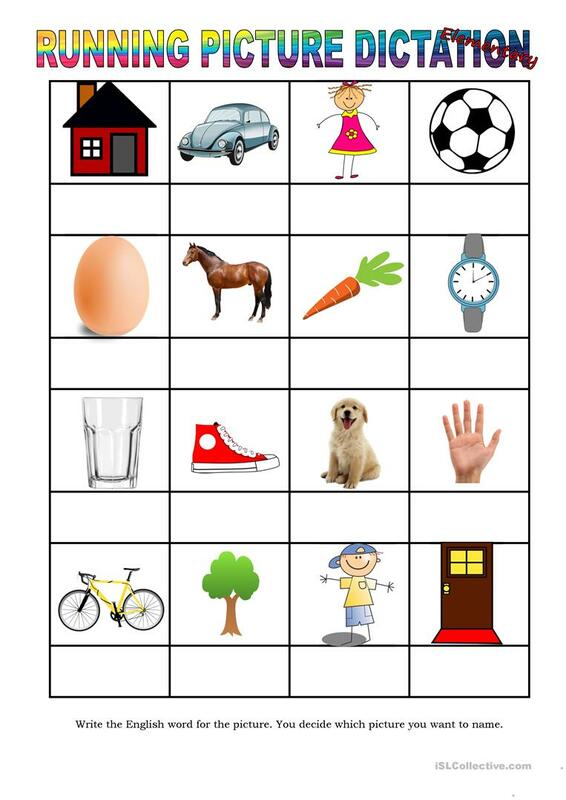 This worksheet is for beginners and it is a TPR activity. Make enough copies of the ws in A3. Place the copies in one end of the room and pairs of students in the other end. Students take turns running up to the ws and write the word of a picture they know in the box below. The rerurn to their partner and sends him off to write a word of one of the pictures. Who finishes first? The present printable, downloadable handout was created for elementary school students and students with special educational needs, learning difficulties, e.g. dyslexia at Beginner (pre-A1) and Elementary (A1) level. It is a useful material for practising Nouns in English, and is useful for honing your pupils' Spelling and Writing skills.